Migrant shipwreck kills 400 en route to Italy from Libya. 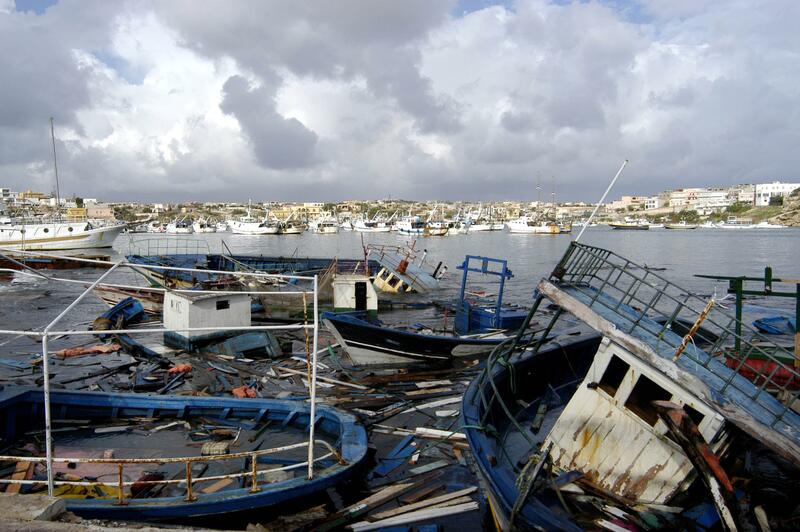 The remnants of boats used by the illegal immigrants on the Italian island of Lampedusa in 2002. A boat full of migrants heading for Italy flipped some 24 hours after departing Libya, killing as many as 400 in the Mediterranean. It’s still not completely clear when exactly the accident took place over the past several days. Most of the boat’s approximately 550 passengers were from sub-Saharan Africa, according to the nongovernmental organization Save the Children.